New, personalised workouts for gym or home, every time you train. The CustomFit app has been designed to give you support and inspiration to accelerate your motivation. With over 800 training videos showing the latest techniques for inside and outside of the gym, and free, fully customised workouts based on your goals, you can mix up your routine to keep every session interesting. Brunei, Cambodia, Fiji, Hong Kong, Indonesia, Japan, Macau, Malaysia, Papua New Guinea, Philippines, Republic of Korea, Singapore, Thailand. The Fitness Logic system within CustomFit gets to know your preferences once you have answered four simple questions. You'll then receive a set of inspiring workouts delivered directly to your phone. Track, analyse and share your progress while checking your PB’s with the other likeminded people. This app will support you as a beginner, educating you to quickly feel like an expert. 200 of the exercises available in CustomFit will be bodyweight exercises that do not require equipment, so you can workout at home or in the park. Our experts in nutrition and fitness will guide you to achieve your goals, giving you the focus and motivation to get the result you've always wanted. Designed with flexibility to complete at home or in the gym, and you choose when to train. Body Transformation Plans are available to buy now in the app. CustomFit will simply guide you through your workouts providing video and written instructions, duration of each exercise, number of reps completed and calories burnt. Once you have completed the workout your effort will be logged ready to analyse at a later stage. CustomFit measures your activity level by pulling in step data from Apple Health or Google Fit. Combined with the workouts you log, you can see a complete overview of your activity level. If you record your body weight, you'll see an integrated view showing how your efforts are paying off. CustomFit has the unique ability to dynamically calculate the Skill level of each workout, so you can start with simple exercises and progress when you’re ready. You won’t feel overwhelmed by workouts with complicated moves, because you take it at your own pace. Intensity level lets you see how hard a workout will be, allowing you make an informed choice about the kind of training you want to do. The higher the intensity, the more calories you'll burn, but you can start gently and ramp it up when you're ready. If you know what you're doing, you can create your own workouts from the library of over 800 exercises. Manage your sets and reps, and track the weights you lift so you can easily monitor your progress over time. CustomFit has a huge range of metrics, which you can personalize so that you track your progress the way you want. Whether you choose to monitor your bench press 1 rep max, or time how quickly you can complete 30 push-ups, everything can be set up as a metric on your "Me" page for instant access. Save workouts to the planner which then syncs with your phone calendar. CustomFit will remind you about your workout the night before so you never forget your kit. 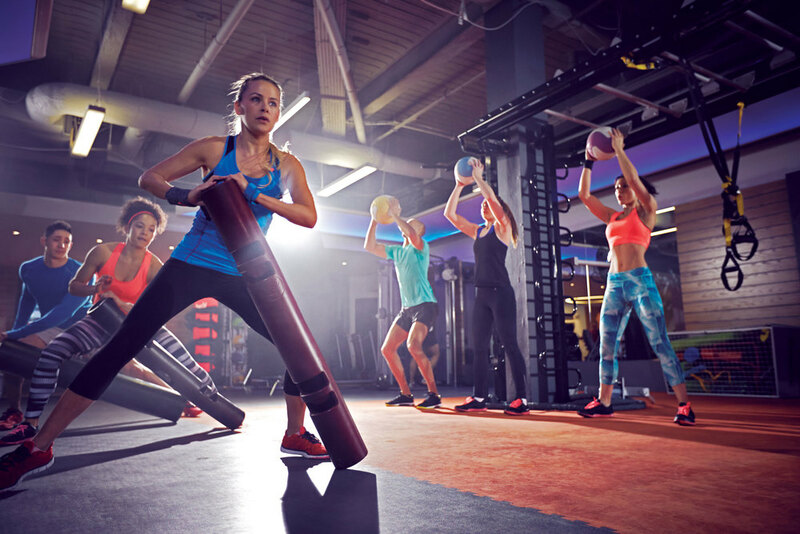 CustomFit is free for everyone, but if you're a Fitness First member you get even more. Our fitness experts will build bespoke workout programmes for you, and provide regular monthly programme reviews. Members can also check our timetables and add classes to the personalised planner, and invite friends to join them too. Your dashboard allows you to check your progress – How many workouts, calories burned, weight lifted and steps taken are all tracked to help you reach your personal best. Finally, we can also show you the benefits of CustomFit with a BioScore session, our simple health and fitness assessment which calculates your age biologically in comparison to your age in years. Chose your country below to get in touch with a club near you.